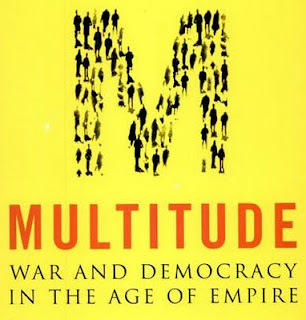 More than anything else, Multitude is a sequel to the authors' enormously successful Empire, published in 2000. Apart from minor issues, it remains firmly tied to the basic framework Hardt and Negri suggested there. Many thoughts date back to some of their earlier work, as in the much shorter co-authored book Labor of Dionysus from 1994 and Negri's writings on Marx, contemporary class struggle, and constituent and constitutive powers from the mid-1970s. But if one grants that Empire at its time was a remarkable theoretical event, then a restatement of its strengths would be welcome. While there was a rather heated controversy over whether Empire was successful as a theoretical text or as social theory, many conceded that its ambition held a threefold promise. First, when it appeared, Empire seemed the most sophisticated attempt to date to reconcile or merge various strands of poststructuralist theorizing with certain developments in neo-Marxism. It held out the promise of synthesizing anti-essentialist thinking with a non-reductive critique of capitalist society that could give rise to a new activist social philosophy. Second, it seemed to provide the framework for a long-sought-for alternative leftist conception of globalization. It suggested the possibility of a critical theory of globalization that could compete with various well-established accounts of the recent economic, cultural, and political developments and of the new multi-level and transnational form of political order we have seen emerging. Third, in accordance with its diagnostic task, Empire seemed at least to make thinkable a new form of transformative global politics, and it seemed to provide certain images and metaphors for new struggles and emancipation from capitalist power structures. 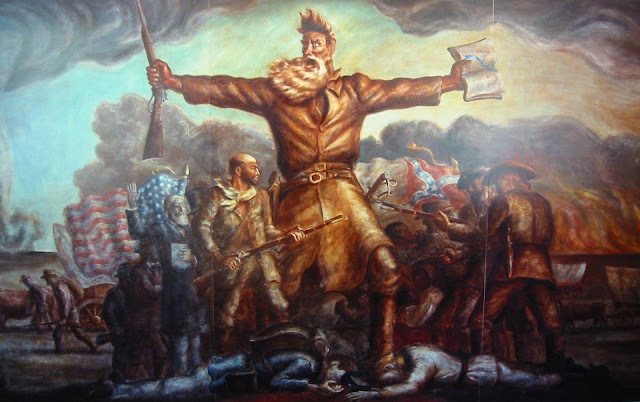 While there has been wide disagreement as to whether Hardt and Negri actually arrived at some kind of a new critical social imaginary or a new leftist "mythology," it has to be admitted that the passionate reception the book has found in activist circles as well as in many quarters of the cultural left testifies to the power of its imagery and rhetoric. Whether these three promises - for a truly postmodern form of Marxism, for a critical theory of globalization, and for a vision of a global leftist politics - can be and have been fulfilled by Hardt and Negri should remain the standard for their recent contribution. Many readers sympathetic to the basic intentions of Empire, most notably Zizek, have suggested that it is a kind of manifesto and therefore not intended to meet the standards of a full fledged theory. While this certainly holds true to some extent, it should be astonishing to note that the next work after the presumed manifesto doesn't leave this preliminary character behind. The book makes a threefold case that can easily be seen as following the three inherent goals of the overall project: it gives a diagnosis of the present that explains the war-like nature of the contemporary global order; it tries to analyze present possibilities in terms of the emergence of a new global movement; and it claims that some new kind of democracy, to be brought about by the global multitude, is the only way to put an end to war. The book starts with a first, diagnostic part, on war. In any theory with the ambition to give a diagnosis of the present, historical changes leave their marks. Empire was written before the war in Kosovo and published before the watershed of 2001. 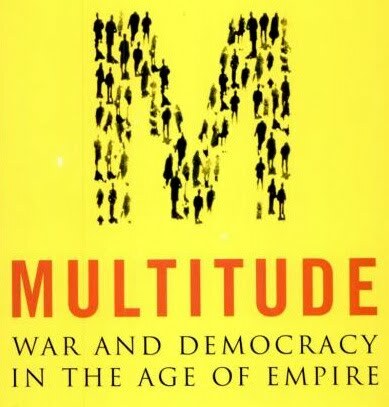 Multitude, however, clearly aims to incorporate the political experiences of the following years, which stood under the sign of new regional conflicts, the breakdown of seemingly well-established nation-states, global terrorism, and a global "war on terror." This explains its gloomier and, at times, desperate tone. The "global state of war" (xi) is said to be the practical consequence of the very functioning and sustainability of the emerging global power structure Hardt and Negri have come to call Empire, which, to be sure, claims to be a peace-bringing order. But, as Hardt and Negri argue, bringing (some kind of) war in the name of peace and security is its very nature. Following Schmitt and Agamben they claim that the new global order brings about the spread of "global civil war" based on a generalized "state of exception" (5-9). The Empire is based on new forms of legal norms and political actions responding to the crisis of the nation-state. As in Empire, for Hardt and Negri the development towards a global legal order of human rights and the increasing cases of military interventions that take exception to existing legal norms are to be seen as two sides of the same coin. Again, they insist on the decentered character of this new order and they dismiss the interpretation that the United States should count as the hegemonic center of Empire (4-10, 60ff., 312-24), even if this move has gained importance in recent debates about a "new imperialism" or the necessity of imperial politics. War has ceased to be a means of politics of nation-states alone; it has become a general globalized "regime of biopower" (13) that sets its own rules and that tends to blur the distinctions between "legitimate and illegitimate violence" (32). The threat of terror and the demand for security have become the new justifications for warfare. Not surprisingly, Hardt and Negri see in the renaissance of "just war" theories a reflection of this process (15-17). A brief summary of the history of military technology in the twentieth century, which relies heavily on the ongoing discussion about the new forms of war, brings to the fore the characteristics of contemporary warfare: asymmetry and network structures. After looking at contemporary warfare, Hardt and Negri attend to contemporary scenes of resistance. As war spreads, violent and non-violent struggles against military powers emerge. A historical overview of the multiplicity of last century's local insurgencies from liberation movements to local revolts all around the world shows that the successful counter-powers, too, have adopted the network structure. War (or military power, to be more precise) and resistance therefore seem to share a common form or structure. What distinguishes them, of course, is that there is a tendency on the side of resistance movements (from the ANC to the Zapatistas) to organize themselves democratically, to use the network structure in order to abolish hierarchies and authoritarian chains of command and to transform themselves into peaceful forms of life. In these cases, the formal structure of organization itself gains a political value, and this also reflects a tendency in the shift of the dominant mode of production: "The distributed network structure provides the model for an absolutely democratic organization that corresponds to the dominant form of economic and social production and is also the most powerful weapon against the ruling power structure" (88). The second part of the book elaborates the concept of "multitude," which remained rather vague in Empire. In a possibly one-sided but straightforward quasi-definition, Hardt and Negri call it the plural and multi-faceted aggregation of human subjects "who work under the rule of capital and thus potentially [are] the class of those who refuse the rule of capital" (106). Now, it is rightly called a "class concept" (103). The term itself comes from early-modern political philosophy. It is of central importance in Suarez and Hobbes and was famously elaborated by Spinoza, who saw the multitude as the foundation of any stable and just government. For this reason, Negri, in a bold and radical materialist interpretation, has claimed Spinoza to be one of the first thinkers of an unlimited form of democracy founded on creative ontological forces, not unlike Marx' "living labor," as the source of material and social production. In Hardt and Negri's usage of this term, the multitude is a multiplicity of creative subjects who share a common productivity - not unlike Marx's "general intellect" - and is inclined to give itself a political existence. So the argument for the inherent democratic nature of the multitude is, as it were, ontological: the possibility of bringing about democracy is said to be the very "project of the multitude" (ix) because, in short, it has an interest in reproducing and sustaining its very productivity, which can only be realized by cooperation, mutual support, and sharing powers, knowledge, and capacities. Under the rule of capital, however, the sphere of production is characterized by the fundamental dichotomy or antagonism of Empire and multitude, which entails exploitation, dependency, and resistance. The Empire can only live from the energy and productivity of the multitude, but it has to control and regulate its desires and freedoms to do so, with war and economic exploitation being the two major means. Since modern production tends to be increasingly organized around immaterial goods and presupposes more and more cognitive, affective, and social capacities, labor tends to become less easy to expropriate and more inclined to give rise to social relations that can counter exploitation. This is a highly debatable claim, especially if you look at global and not only first-world modes of production. But it is the basis for the almost prophetic suggestion that the multitude might bring down the powers that still bind it: "The biopolitical production of the multitude, however, tends to mobilize what it shares in common and what it produces against the imperial power of global capital. In time, developing its productive figure based on the common, the multitude can move through Empire and come out the other side, to express itself autonomously and rule itself" (101). "The common" is Hardt's and Negri's term of art, introduced in Multitude, to designate the shared and indivisible nature of human cooperation and coexistence. That late or postmodern capitalism tries but increasingly fails to eliminate and appropriate the common because the multitude can no longer be held captive, is a recurrent theme. The third part of the book elaborates on democracy as the form of political and social life that is the goal of the multitude. The radical democratic promise, Hardt and Negri claim, has not been fulfilled by existing democratic regimes, which remain deeply compromised by the capitalist modes of production. That there are many protests and much activism surrounding privatization and exploitation, ecological dangers, and social discrimination for them is a sign of a passionate demand for more democracy. The authors refer to actual suggestions for institutional remedies but remain quite neutral whether they would really endorse, e.g., the demand for a "global parliament," based on the EU example, or a "permanent international or global truth commission" (297), global anticorruption agencies, and the like. For them, the main demand is to imagine "new models and methods" of democracy (309). How radical this call for rethinking democracy is meant to be becomes clear when democracy and sovereignty are said to be incompatible. Because sovereignty supposedly presupposes unity, either established by autocratic force or through representation, the multitude, which is an un-unitary entity, can never be sovereign and its actions will be of a different kind: "the multitude banishes sovereignty from politics" (340). What this could mean in terms of procedures, institutions, and actual policies is only hinted at: "What the multitude produces is not just goods or services; the multitude also and most importantly produces cooperation, communication, forms of life, and social relationships. The economic production of the multitude, in other words, is not only a model for political decision-making but also tends to become political decision making" (339). This is an interesting and challenging reformulation of the meaning of politics: since the multitude is said to be the constituting source of all social relations, the question of the adequate form of political actions and institutions will be a matter of "production" (in the widest sense) as well as cooperation. Democracy is the outcome of the multitude at work, of people cooperating and communicating. But this only holds true if "the" multitude does and wants and produces the same thing(s). One cannot but fear that the idea of political solutions taking the form, as it were, of production-like processes doesn't leave too much room for the rather unproductive cases of substantial disagreement and competing interests, and it certainly downplays the importance of argument and debate. It is hard to imagine that an "ontological" definition of politics can account for this, but Hardt and Negri seem to believe it does. The rather uncanny formula of "the destruction of sovereignty in favor of democracy" (353) clearly shows how for Hardt and Negri the autonomy of society has to be defended against the existing political and the emerging economic and political powers. "Absolute" democracy, conceived as the continual self-creation of society, is certainly modeled after Spinoza's imperium absolutum, but for him, sovereignty and the power of the people, or summa potestas and potentia multitudinis, are not at all necessarily in conflict but could be reconciled through reasonable institutional designs and just laws. But what Hardt and Negri still share with Spinoza is the sense that, since society itself is man-made, a different political order would indeed imply a different world to inhabit, or, in their words, a "new ontology" (312). This claim separates the metaphysics of democracy from many enterprises that go under the name of a theory of democracy but that try to remain neutral on matters of social ontology and of the very qualities of democratic ways of life. It should be clear by now that Multitude moves on more or less the same ground as Empire, and even repeats some of its most unconvincing points - the rather kitschy praise of the transgressive power of migration and exodus (133-4), for example, and a romanticizing and in its simplicity utterly wrong image of "the poor" (129-38) as the embodiment of creativity and dignity. Like the first book, Multitude moves rather abruptly between different references, historical and theoretical. Quite often the very status of the arguments tends to become unclear. On the one hand, there is a clear rejection of historical determinism and prophecy; on the other hand, there are images and speculations that come as apodictically as any philosophy of history. But what does Multitude mean for political thought? Recalling the three promises, it has not become any easier to say whether the fusion of poststructuralism and neo-Marxism has succeeded. The slightly more explicit political economy of the multitude still rests on rather weak assumptions about contemporary modes of production. The heavy ontological assumptions about "production," "life," and "desire" of the multitude still sit uneasy with the anti-essentialism of most poststructuralist thought and with the more restrained themes of current Marxist social theory. Some "productivism" still lurks in the background of much of the ontology. Speaking of bodies and production, the absence of any serious discussion of gender is revealing in this respect. As to the project of a critical theory of globalization, what Multitude leaves behind is less a well-established building than a construction site. It is asking the right questions, however. 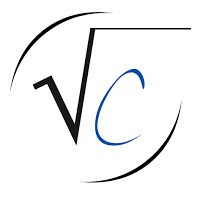 Any theory worthy of the name would have to combine a political and an economic analysis; it would have to focus on the juridical as well as the property order; it would have to be attentive to the systemic as well as the agents' points of view, combining a theory of the global market and order with a theory of the dispersed political movements and at the same time theorize their interconnection. Hardt and Negri pretend to do this, but to really conceptualize the double face of globalization might mean leaving behind the many mechanistic dichotomies (Empire/Multitude, state/society) their discourse stills relies on. As to the political vision and imagery, one cannot help but feel a little disappointed. Of course, optimism and passionate statements abound in Multitude. But what seemed fresh in Empire, the surprising thought images and symbols, have grown a bit pale in their slight modifications. And, more importantly, the idea of politics, emancipation, and possibly revolt as something that comes almost naturally is all over the book and seems very far away from what other post-Marxist accounts of politics have suggested: that liberation is something to be fought for, argued for, and that may remain irreconcilably agonistic, since there can be not liberation from politics. This might sound less hopeful than Hardt and Negri would like, but it might be closer to the truth. There is something deeply anachronistic in even trying to do the kind of grand theorizing exemplified in Empire and Multitude, combining political diagnosis, explanatory social theory, and revolutionary imagination. For some, the books will prove that it cannot be done at all (any more) and that the roles of political commentator, social scientist, and leftist activist cannot be played by the same authors at the same time. For others, the work of Hardt and Negri will prove a welcome example of a kind of writing that is inventing a future while commenting on a present. If you're not convinced by their account, write your own. Michael Hardt/Antonio Negri, Labor of Dionysus: A Critique of the State-Form (Minneapolis: University of Minnesota Press, 1994); Antonio Negri, Marx Beyond Marx: Lessons on the Grundrisse (New York: Autonomedia, 1991); Antonio Negri, Insurgencies: Constituent Power and the Modern State (Minneapolis: University of Minnesota Press, 1999). See also Andreas Kalyvas, "Feet of Clay? Reflections on Hardt's and Negri's Empire," Constellations 10, no. 2 (2003): 264-79, and for a general overview, Jodie Dean and Paul A. Passavent, eds., Empire's New Clothes: Reading Negri and Hardt (New York: Routledge, 2003). Slavoj &Zizek, "Have Michael Hardt and Antonio Negri Rewritten the Communist Manifesto for the Twentieth Century?," Rethinking Marxism 13, no. 3/4 (2001): 81-88. See, e.g., the two completely different proposals by David Harvey, The New Imperialism (Oxford: Oxford University Press, 2003), criticizing the new hegemonic order, and Herfried Münkler, Imperien: Die Logik der Weltherrschaft - vom Alten Rom bis zu den Vereinigten Staaten (Berlin: Rowohlt, 2005), making a historical case for the necessity of imperial politics. Antonio Negri, The Savage Anomaly: The Power of Spinoza's Metaphysics and Politics (Minneapolis: University of Minnesota Press, 1991). See Ernesto Laclau, "Can Immanence Explain Social Struggles?," in Dean and Passavent, eds., Empire's New Clothes, 21-30; Chantal Mouffe, On The Political (London: Routledge, 2005), 107-15.